This special Night of Worship will be a time to come together in an act of surrender and adoration before God and to experience Him in a powerful way. If you’ve never been to a Night of Worship service before, then this is your chance. You’ll have the opportunity to draw closer to God through singing, prayer and fellowship with other believers. All are welcome to come. Our worship team will lead us through a wide range of worship songs from ages gone bye through current songs of adoration to God. The different eras will include: Hymns, the Jesus Freak Movement and on through 2018. 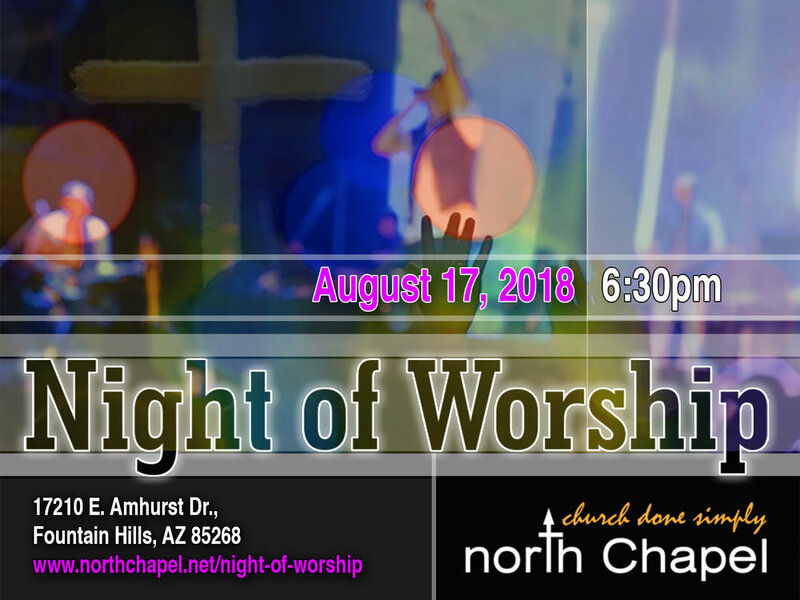 Join us for this awesome night of praise & worship on Friday, August 17th, from 6:30pm to 8pm at North Chapel in Fountain Hills.